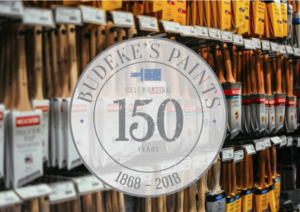 The story of our company begins in 1868, when George H. Budeke first opened the doors to our historic Fells Point location. 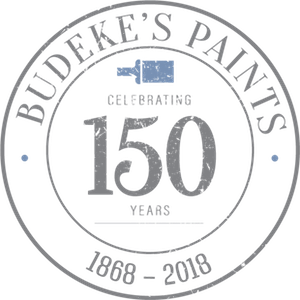 Since then, satisfied businesses, homeowners, painters, architects and designers alike have helped secure the Budeke’s name as one that represents unrivaled quality, service, value and integrity in the industry. We may be destroyed but are not defeated! For those who do not know, we lost our Fell’s Point location in a massive fire. First and foremost we want to sincerely thank all the first responders for their selfless efforts. We are beyond grateful for the amazing men and women who put themselves in harms way to serve Baltimore. We also want to thank our wonderful Charm City community for their support and concern. Festool takes care of the dust. All sanders hook up to the Festool CT vacuums. 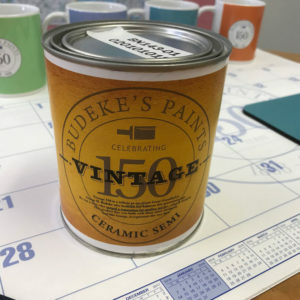 The sander/vacuum combination is so efficient, you can sand and paint in the same room, which will cut down on clean up and on your waiting time for prep to be done before you can start painting. ACT produces the ultimate in coating performance. ACT coatings produce tough durable films with superior stain resistance in any sheen. Finger prints, soil, grease and many other stains wash off easily with mild soap and water. Our ACT finishes out perform the leading national competitors. 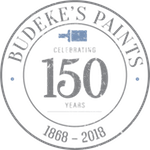 Our ACT product line is available in a wide variety of sheens.